Center Space explores the relation between flatness, infinity, and the landscape, resulting in a comparative study of analogous horizons in disparate lands. 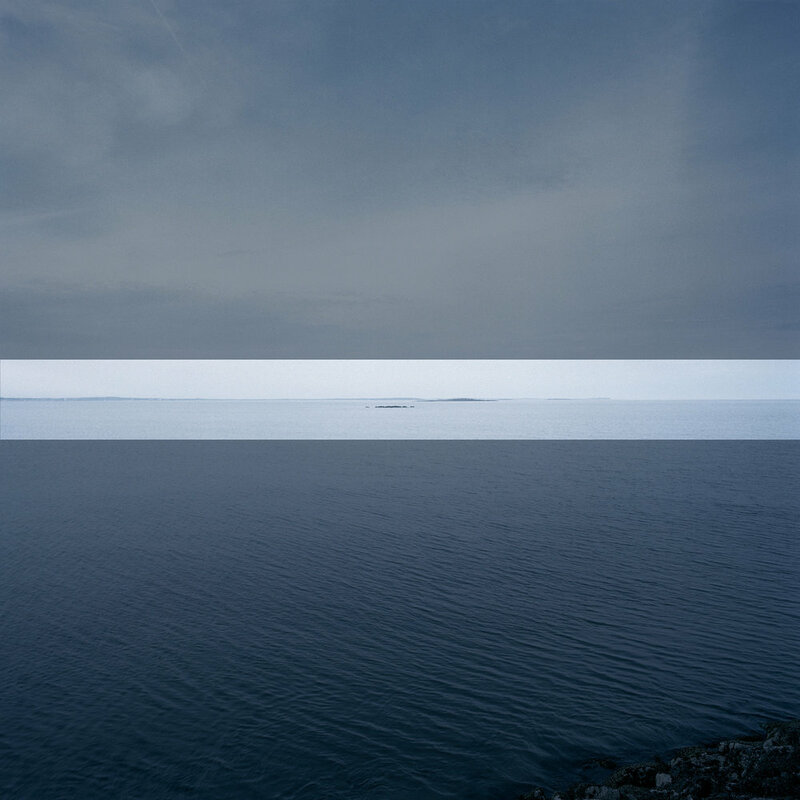 These horizons, where earth meets atmosphere, elicit numerous questions about human vs. photographic perception, vastness vs. infinity, and the devolution from place into space. One simple question the work considers is: What is actually being seen when we look deep into the horizon? In a number of places on earth the horizon can appear to be infinite, interrupted only by the curvature of the earth. This uninterrupted view gives the feeling that the end to the world is just beyond one’s gaze. This endless view coupled with the contemporary knowledge of our planet creates a contradiction between the seen and the learned. To take this idea a step further, if we are so observant in looking at the horizon, we might even contemplate the infinite and boundless universe beyond what we know to be a finite boundary of Earth. The transformation of this “anything whatever” into the “acme of value” is where Center Space draws its strength. To do this, certain formal strategies are applied in the making of the images. Each image is a 20x20 inch color pigment print with the horizon placed exactly in the center. In the print is a transparent color mask covering all but the center 2 horizontal inches. Within these unmasked bands rest corresponding horizons that pair-down such diverse landscapes as a harvested cornfield and a view of the Atlantic Ocean into congruent infinities. The mask mutes what would otherwise be key elements of a landscape photograph (e.g. foreground, texture, foreshortening, contrast) with the hopes for a new evaluation of commonplace scenes.